About two years ago, I developed a plugin that adds an additional driver of a Joomla user authentication. 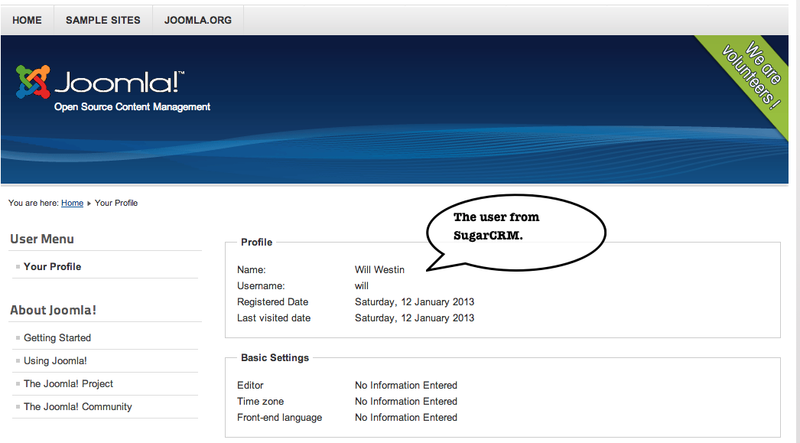 The plugin allows access to the Joomla portal for users of SugarCRM. The installation and configuration of this plugin is very simple, but I have received several comments with requests for help on the process of installation and configuration, this explains the reason for this short post. 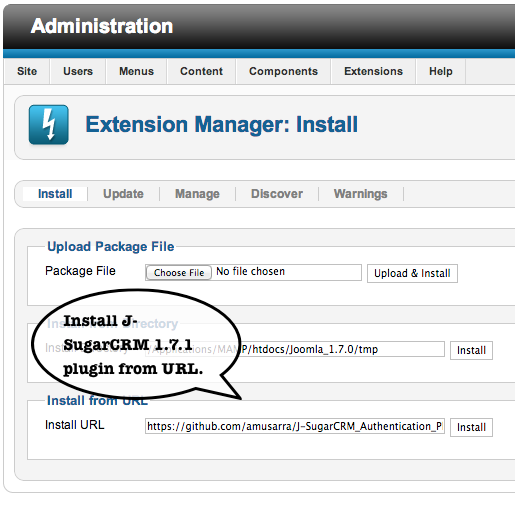 The current version of the plugin is compatible with Joomla version 1.7 and 2.5 and supports SugarCRM versions: 6.1, 6.2 CE/PRO/ENT. In one of the comments received, someone asked me if it was supported version 6.5.8 of SugarCRM, this evening I had the opportunity to do a test with a positive result, but I was able to test only the edition Community. But I think it should also work with other editions, the API should be the same. Instances of the CMS and CRM should be visible at the network layer (http protocol). To install the plug-in is required to access the control panel of Jommla by an admin user. In Figure 1 and 2 show the installation of the plugin. You can still follow the other installation options. 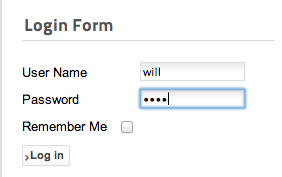 After you save the configuration, you can perform an authentication test. The configuration shown in Figure 4 is the standard one, for an edition of SugarCRM Community. In Figure 5 and 6 show the login form and the next page after authentication. 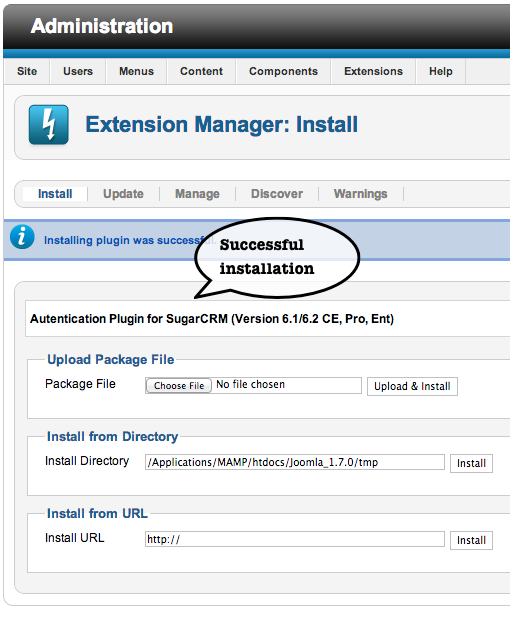 In this short post I hope I was good at explaining the process of installing and configuring the plugin integration between Joomla and SugarCRM. All your comments are well appreciated.